Alan Shearer knows what it takes to impress Newcastle United fans. The Premier League Champion scored 148 of his record 260 Premier League goals for the Magpies and is the club’s all-time record scorer. 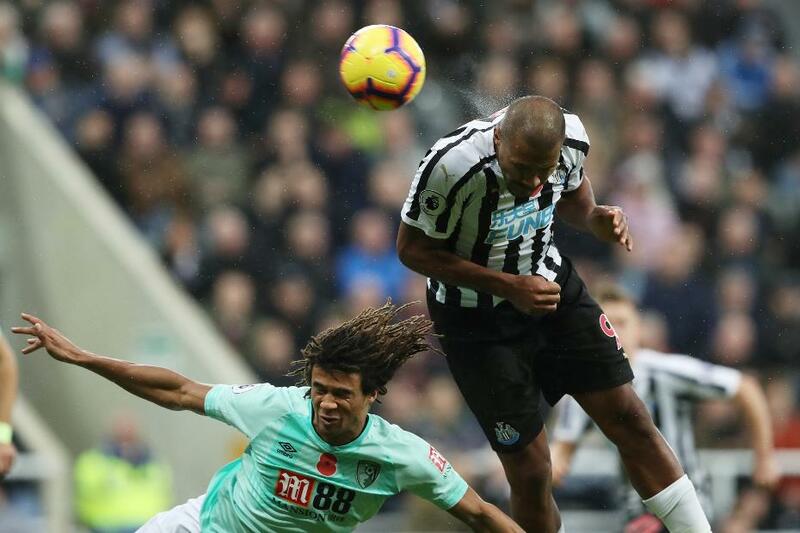 So Salomon Rondon can be rightly proud of his display against AFC Bournemouth that Shearer has described as "the complete centre-forward’s performance". Rondon scored both goals in the 2-1 home win against an in-form side sixth in the table. The second was a powerful header that reminded fans of Shearer. A clean sheet against one of the best teams in the country. Another confident and assured performance from Everton and England’s No 1. The full-back’s passing and crossing were sublime. This was a day he will never forget. He scored his first goal and got better as the game went on. The centre-back was solid and a major influence in Everton getting the clean sheet. The German was commanding again. He is having a superb season and becoming a Team of the Week regular. The Spaniard was brilliant going forward and helped his side keep them out at the other end. The Brazilian was totally dominant. The midfield general ran the show for City. He celebrated the signing of his new deal with another stellar performance. An opening goal paved the way for a simply stunning performance from the gifted Spaniard. The summer signing from Lazio scored a wonderful goal and produced another sublime performance. Last season his team slipped up against Manchester United. Not this time. His unbeaten side is going from strength to strength.